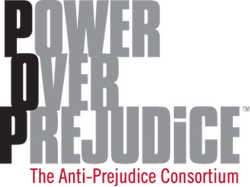 Building Understanding (BUDS) is a strong supporter of the Power Over Prejudice (POP) 3-day Summit which educates 700 middle school students from 70 schools on stopping stereotypes and bullying. *** To participate as a volunteer or youth discussion facilitator as a BUDS member - fill out the POP registration form indicating your organization as "Building Understanding (BUDS)"
Facilitators should expect to be at the summit from 8:30AM - 4PM. Volunteers may limit their commitment to part of the day: morning, midday, or afternoon, on any of the dates.